Why wait until closing to get paid your commission? We purchase your commissions at a reasonable discount allowing you to convert your receivables to cash. This is not a loan, simply a cash flow tool enabling you to access the cash needed to build your business. Why use Premier Commission to advance your commission? 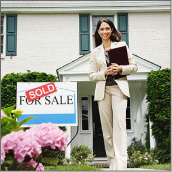 Simply stated you will be dealing with an established company and experienced team that is dedicated to providing cash flow solutions to real estate professionals. Our commission advance service is provided at the LOWEST fees in the Nation with extremely fast turnaround service. What are the advantages to receiving your commissions today? There are significant benefits to advancing your commission. A commission advance helps you manage your cash flow, which allows you to focus on building your business. This is what our customers have to say!